I found the Crayola character themed 4 count side walk chalk at the Crayola Store in Kansas City. I love the different themes, Avengers, Minions, Teenage Mutant Ninja Turtles and Frozen. These character chalks feature colors that can be used to draw the character. The colors are very accurate to the chosen character they represent. The funny thing about the Frozen chalk is I thought I had bought it, and even looked at it in the store, but when I got home, I realized I had two Minions sidewalk chalk. I hope the Frozen one is available when I go back. Click here to find Minon chalk on eBay. Click here to find TMNT chalk on eBay. Click here to find Avengers chalk on eBay. 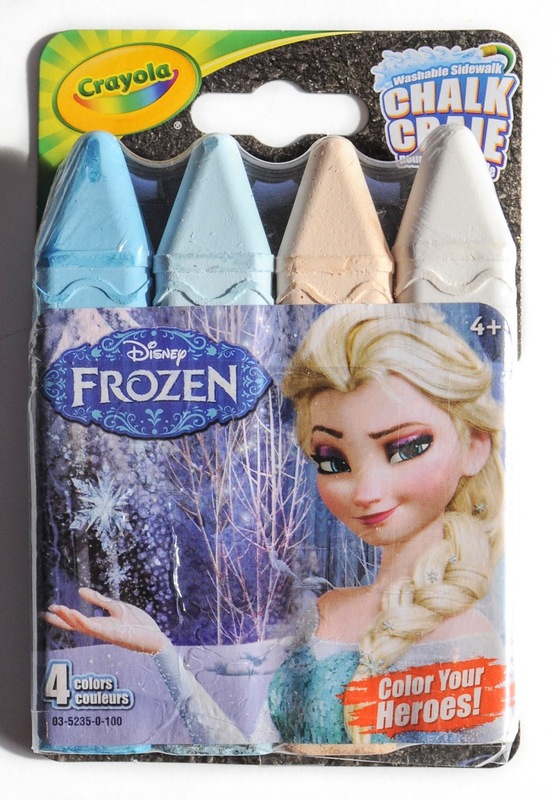 Click here to find Frozen chalk on eBay. Since the chalk is in plastic and I will not open it it is a good thing the colors are on the back. I know now the colors are also on the side too, but I am definitely not opening it.